Original and certified true copy of Transcript of Records with your picture. Ask your registrar to give you a TOR for board exam purposes with your picture printed in the TOR. Also, the TOR should have the Special Order number printed. If your school is exempted from issuing SO number, you need to get from your registrar the Certificate of Authentication and Validation from CHED. Three (3) notarized certificates of good moral character preferably from your employer, school, church leader, baranggay captain. If you want to try it on Review Centers here's a few I found on the web. However, the tuition fee for those who want to take the Psychologist licensure exam would be higher than those of the Psychometricians. I haven't included San Juan de Letran's Review Class because the last day of application was April 30. You can check other schools to be sure if they offer review classes for the exam. I think the tuition fee ranges from 8 to 15,000 php. Hello! I quoted this from your blog, pertaining to who are qualified to take the Psychologist Examination, "has obtained sufficient credits for the subjects covered in the examination". Are the subjects you are referring were the above mention? Hi zabalajezzle! As I understand it..the one you quoted refers to the subjects given above. If there will be changes we'll see. I'll update this post. Hi. Is there a possibility na magkameron ng Board exam for Psychometrician this coming October? As i search on the net, do we need to file an online application before going to the PRC? Hi Cez, I do not know yet about the online application. Let's wait for official announcements from PRC. hi! what are the requirements for the psychologist licensure? Hi misselayneous:-)..i graduated in 2010 and im currently working in a call center as an agent. I dont have a job experience yet related to my course ( i.e. human resources officer, guidance counselor ). I' ve read that you need to have atleast 2 years working experience in the field of psychology in order for you to qualify for the exam. Is this true? Hi Rommel! Work experience related to the field of psychology is not needed if you want to take the licensure exam. However, you're only qualified to take the licensure exam for Psychometricians since an MA degree is needed for the Psychologists' licensure exam. 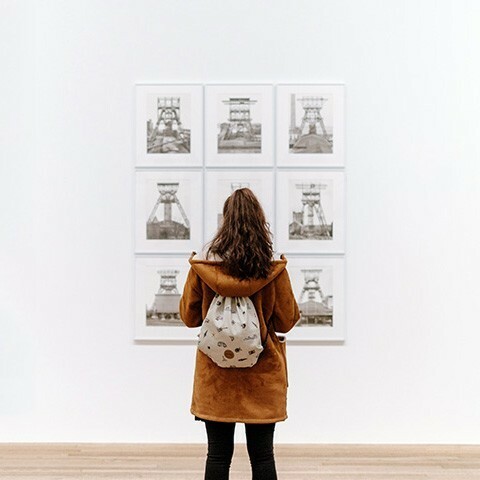 The work experience is only needed if you are working as a psychometrician or psychologist for the past few years and wanted to apply for a license without examination. Hi, Misselayneous! Medyo confused ako.. I graduated in 2012, im now working as Secretary to the VP for 1yr and I also have experience in HR for 10 months on the same company.. Im interested to take the Psychometrician Board exam, but when I asked my Dean, sabi niya sa akin kailangan daw na PSYCHOMETRICIAN ang current work para maging qualified to take the exam.. totoo ba? sa First Sat. na kasi ng august yung start ng review eh.. Nag-offer kasi ng review yng school na pinag-graduate-tan ko..
Hey Kimberly! As far as I know no need ng work experience as psychometrician to take the licensure exam. As long as you have completed the required subjects on the board exam and the papers required (as specified above) you can take it. Need lang ng work experience if you're qualified for license without examination. Good Morning guys! Im a AB PSYCHOLOGY 2001 grad.at Philippine Christian University few months lang aq nging Psychomet d kc mganda offers dat tym s nga Psychimets call centers ang mganda ang compensation and benefits kya nagCall center n lng aq call and teacher few months din previous works q now I'm a Police Officer since 2009 gusto q sna magkaron ng license as Psychomet how and what are the req's. Tnx! Good pm! Kelangan po ba na notarized by a lawyer yung good moral? Or pwede na basta may dry seal nung institution na nagbigay sayo ng gmc? Tsaka ano po bang format nung nametag sa picture? Dapat po ba middle initial lang or middle name? Hi Ishiel! yes po dapat notarized ng lawyer ung tatlong GMC and with regards to the picture kung maikli lang nman ung name mo pde cguro ung middle name ang ilagay kung kasya. Pero much better cguro kung initials n lang since for identification purposes lang nman ung name sa picture. nsa documents naman ung whole name mo eh. good afternoon! may nakapag file na po ba dito ng application sa prc for psychometrician? kailangan pa po ba talaga ng good moral? sa website po kasi ng prc wala namang nakalagay.. According po sa aking mga colleagues q strictly needed ang GMC..kung wla un you can't take the exam..we have to complete all the requirements po..
Hi! May I confirm, 3 GMC each from school, employer (if unemployed pwedeng previous employer? ), and baranggay? Sa picture, yung nametag pwede bang edited sa computer? Thank you. Yes po! tatlong GMC dapat all notarized. Ung sa picture po hindi po yata pde ung edited. If you want to be sure you can just have your photo taken dun mismo sa PRC may mga photo booths daw po dun. Good day po! tanong ko lang paano ang pagpanotarize kasi didto sa amin ang raming hassle. dapat daw yun'g tao nakapirma dapat pumunta at magpanotarize. Hello notary is available sa lahat ng city hall would be the best spot make sure na meron docs stamp ha. So 3 gmc need with notary and docs stamp. Ako pinasuyo ko lng pati un cedula. Hi I heard mayroong notary sa PRC? is this true? Yes meron pero super mahal dun. Mas mura if city hall or anywhere na may pa notary and docs stamp. Guys just to make sure ha. Un license without examination is dapat before june 2 2010 graduate and before june 2 2010 un working experience as psychometrician dapat un job title before ka makakuha un. So inshort nakamali ako. Kaya aun all i need to do is to take exam na Para d masayang un requirements. For those who already take exam na please share your ideas nmn. can you suggest a place where we could stay in manila for the upcoming boardexam? what are the things that we need to bring during the exam? can we just buy it or we should go to prc manila for those things? Hi! A friend of mine suggested that it's better to find a place within the university belt, though I know it would be crowded..so it's better to book early. Try checking out gohotels.ph or check this link: http://www.tripadvisor.com/HotelsList-Manila-Cheap-Hotels-zfp10573.html for list of cheaper hotels in manila. Hi miss Layne,i'm not able to take the exam this oct 2014, when will be the next sched? thanks. Hi! Next batch of the exam would be on October 2015.. I graduated 2005 am i still qualified to take the exam? Hey! You can still qualify for the licensure exam as long as you have taken the board exam subjects listed above and you accomplish all the requirements needed. Hi. I am a graduate of BS PSYchology in 2010. working in a call center for 5 years and taking MA psychology, i just want to ask if i just took the subjects mentioned above without finishing thesis, am i eligible to take the exam? or am i eligible to take the licensure exam for psychologist even if i don't have experience in psychology field of work? thanks. Hi Roxanne! 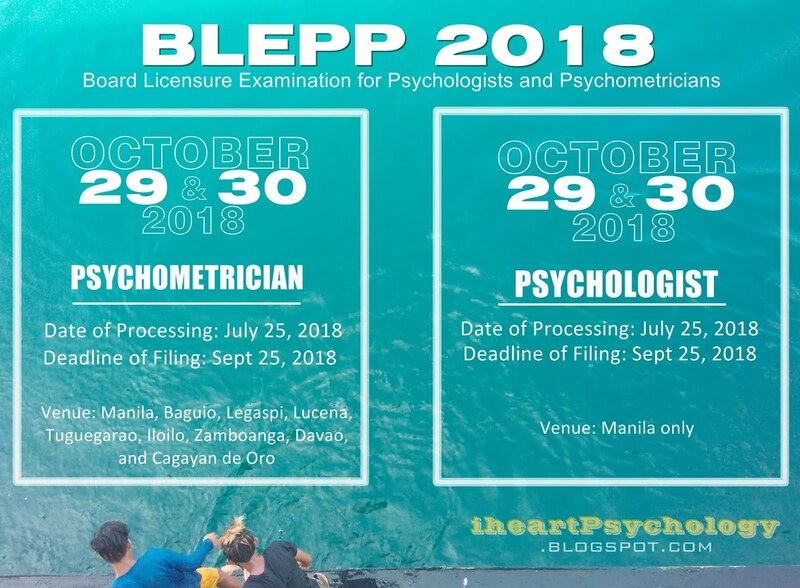 As far as I know you can qualify to take the licensure exam for psychologists if you have completed all the required board exam subjects mentioned above, completed a master's degree and given that you have trained/worked under the supervision of a licensed psychologist for a minimum of 200 hours without any problem. Ahh I see so basically I should have conpleted Masters with Thesis then, to take licensure exam‎. Hi! Just in case alam mo. Possible kaya na sa Cagayan de Oro magfile ng applicaton for exam tas sa Davao magtake? Hello po! Ask ko lang if nadagdagan ba ang requirements na kailangan for psychometrician board exam? Hi ask ko lang po kung required po na 200 hrs ung ojt sa clinical field para makakuha ng psychometrician board exam? Hello Miss Layne. Ang schedule po ba ng board exam for psychometrician is sa july 21-22? Wala pong exam sa october 2015? hello po. kailangan ba talaga na graduate ng m.a. in psychology pra mag qualify sa exam for psychologist or pwede na may m.a. in related fields tapos additional ung mga required na mga subjects? PWEDE PA BANG GAMITIN YUNG TOR KO ULIT? 2014 NG NEXAM AKO I FAILED CAN I USE IT AGAIN BA? Hi po! Qualified po bng mgtake ng psychometrician board exam kung ang undergrad ko ay bsed history, ang masteral ko ay filipino pero ph.d industrial psychology po ako? Hi just want to ask. I graduated 2007 im working in KSA hr department (recruitment) but my job title is diffrent. If im still qualified to exam? For example kmha n me ngaun ng tor ko pero nxt year pa po me magexam pwd po ba iun? Hello! Just wanna ask kung kailangan ng dry seal sa church GMC? I graduated BS Psychology in 1991.. took up units im education, passed the licensure exam for teacher and is a public school teacher for 20yrs now..i also have a 27 M.A. units..am I still eligible to take the exam to get a Psychometrian's license? Hello! I graduated AB psychology in 1982. . .I am a PRC licensed secondary teacher and have been teaching for almost 27 years. I got my MAEd. In Guidance and Counseling in 2010,having completed all the requirements but wasn't able to take the comprehensive exams. . .am I qualified to take the board even if I didn't have the MA in Psychology? Thank you. . .God bless. .
Hi What are the subjects needed to be taken to be eligable for psychologist licensure aside from the usual master's subjects? kailangan ba undergrad psych? Hello Po. I graduated this this March 2017 ng AB Psychology. I want to ask if pwedi na Po ako nag procede n mag take ng board exam for psychologist or do I still need to take an MA degree? You need to finish your MA in Psychology and must covered the required core subjects to be eligible to take the Psychologist Board Exam. Hello po, normally, ilang months ang review ng Psychologist Board Exam? and when po ang schedule ng board exam?